Lesson Code: SER-803 (PREMIUM LESSON). 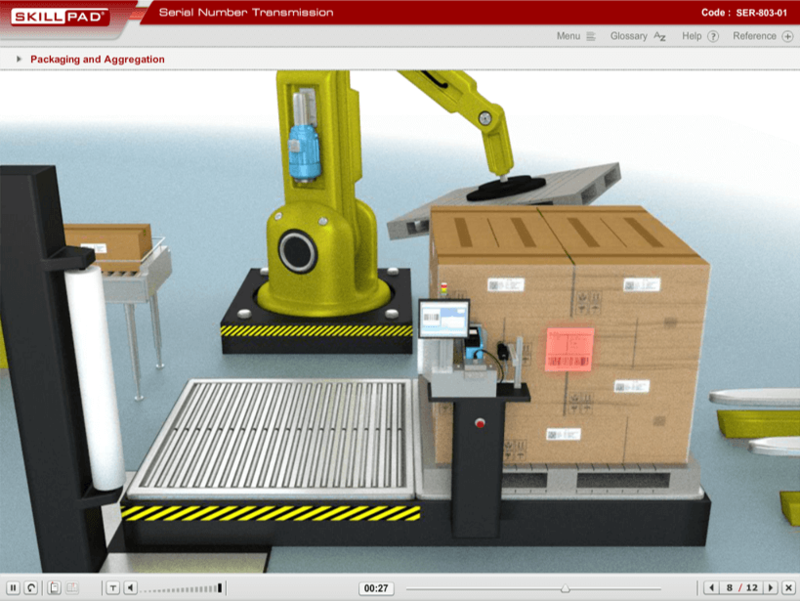 How serial numbers are transmitted from point of origin, through the different levels to where they are printed on packaging. 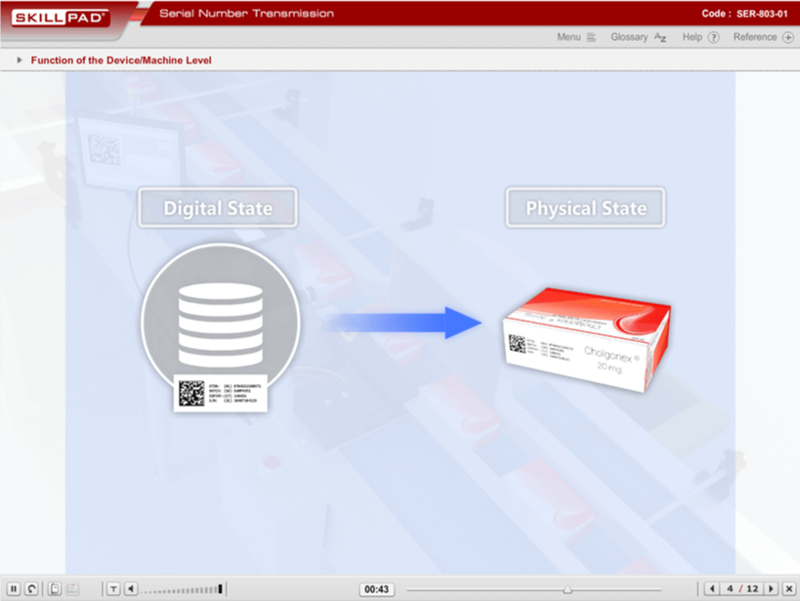 It also describes the function of individual devices on the packaging lines. When serial numbers have been generated, what happens to them? How do they become assigned to unique products? 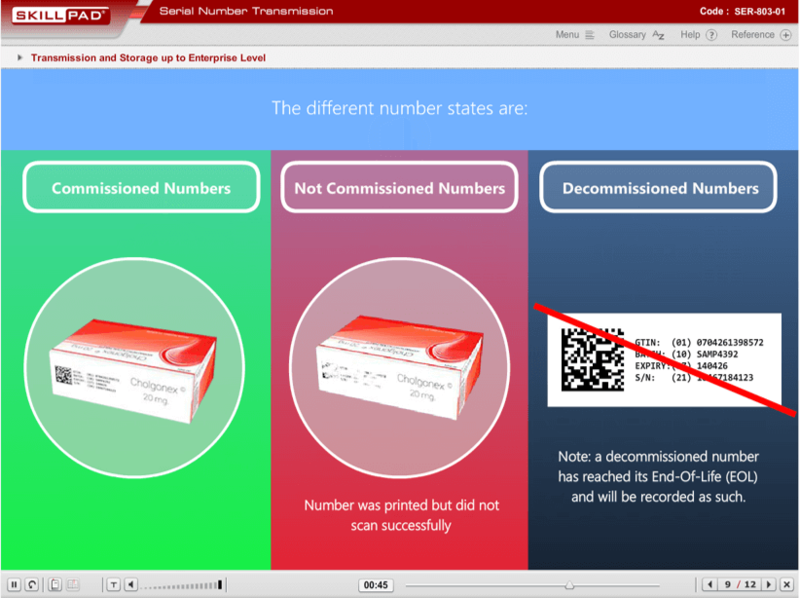 How are the digital and physical worlds reconciled and what happens to unused serial numbers? The answers to these questions are in SER-803. 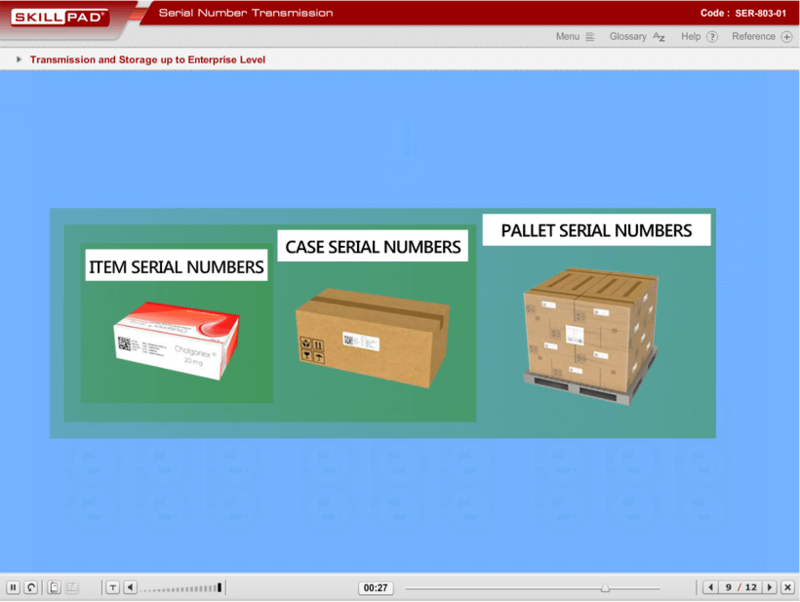 This lesson describes how serial numbers are transmitted through the levels (from level 4 to level 1) to be printed and scanned on unique cartons, bundles, cases and pallets. The function of the device/machine level (equipment level) will be described in detail and the important concept of Global Data Synchronization Networks will be introduced. 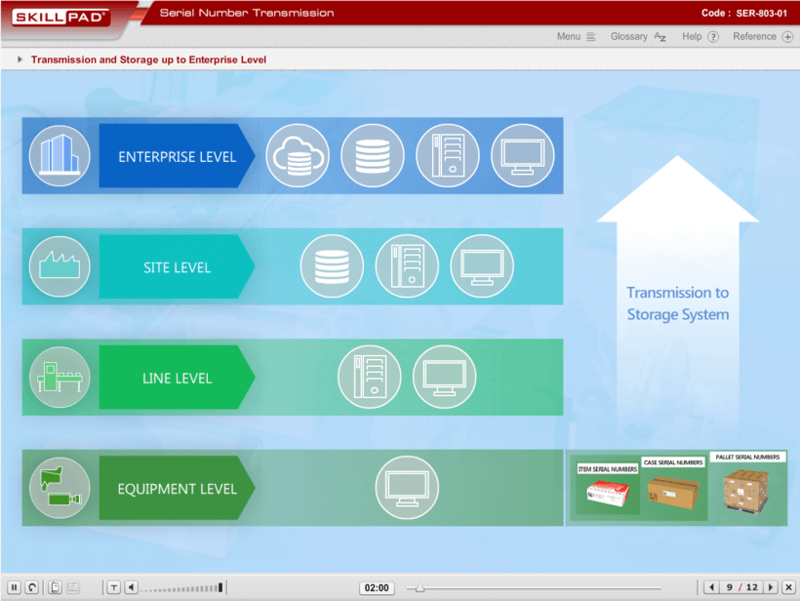 The learner has the opportunity to interact with serial number transmission scenarios via knowledge checks interspersed throughout the lesson.